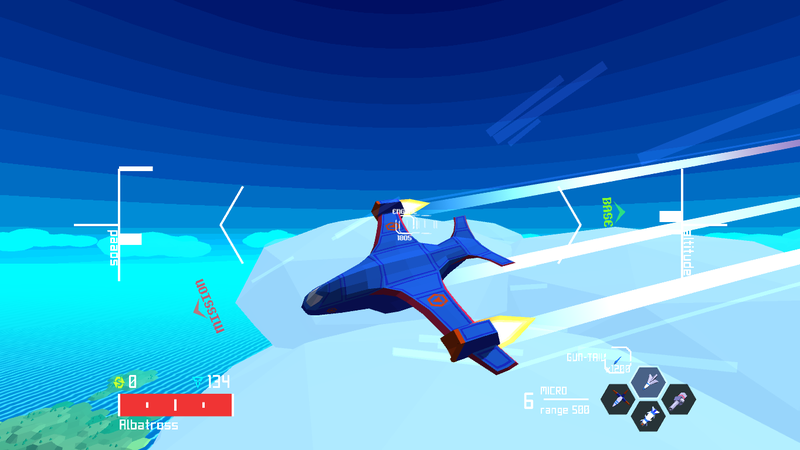 I made a Sky Rogue mod! 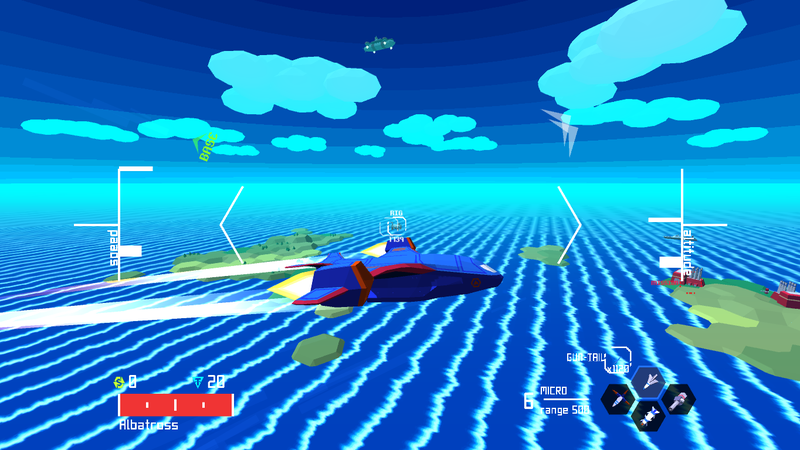 I made a mod for Sky Rogue! You can get the Albatross on Steam here. I feel modern Germany gets less media-representation than WWII-era Germany. Whenever that does happen though it is often done in a rushed manner, where you can tell it isn’t really German but rather an existing setting that has been lazily decorated. I want to look at media (TV-shows, films, games, etc) that feature modern Germany, how right they get it, and how much work they put in it, so that we can distinguish a good representation from a lazy one. Realistically speaking it is not feasibly to do a fully authentic representation when only say a 1-minute scene in a movie is supposed to take place there. A little care will greatly improve results though and make it much more believable. This happens for other countries too! 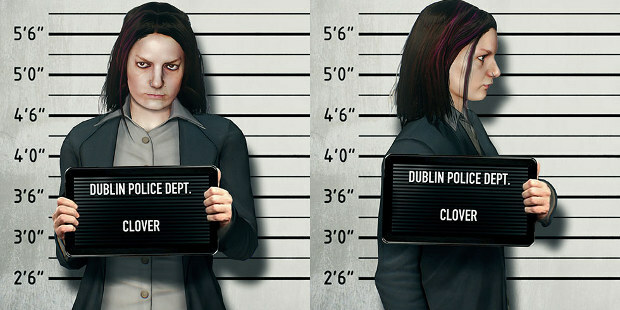 A bad example of this is this promo-art for PayDay 2, which is supposed to reference the Dublin police. Only there is no Dublin Police Debt. There is the Garda, which one minute of research would have revealed. XCOM: Enemy Unknown (2012, Firaxis Games) is a turn-based strategy-game in which you control special-ops soldiers against an alien invasion. 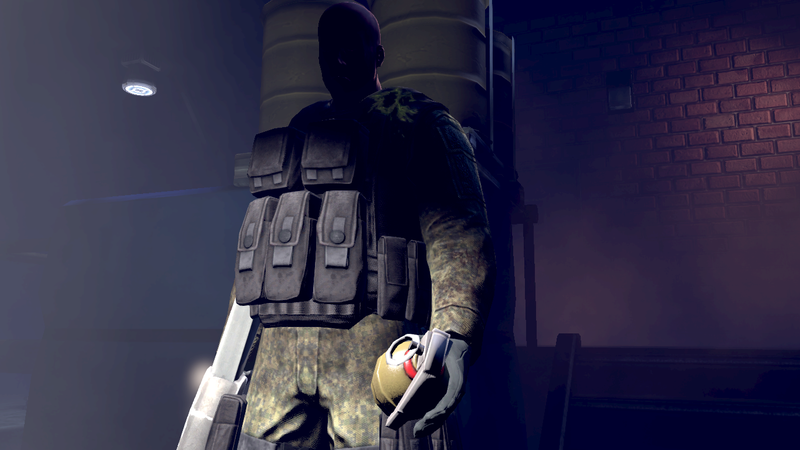 The XCOM organization is made up from international soldiers and operates all over the world. 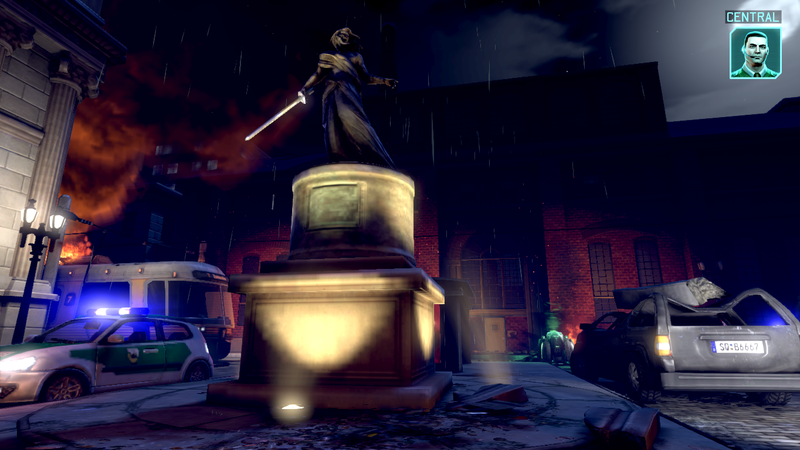 The introductory scene of the game is set in an unspecified location in Germany. There are a few lines of German spoken, phonetically. This means the voice-actors didn’t necessarily actually understand what was being said, and just read out the phonetic sounds. The pronounciation is on the better side and almost passes for natural speaking. The cars look like generic European models, and would occur often in Germany. The number-plates are authentic, with the correct arrangement of city-codes, unique identifier, and blue EU-bar at the left. The city-code “SB” is for “Solingen”, which would place this town in North Rhine-Westphalia, the most densely populated area in Germany. I cannot tell if Solingen looks like this, but it could very well be the case that the town represented would rather be any town, and not necessarily an identifiable area. The police-cars are green-white, as calssic police-vehicles in Germany are (at the moment they are being phased out and replaced with blue ones, but the green police-cars remain a regular sight). The lettering of “Polizei” is correct. The flashing lights on top have the correct color (blue). There even appears to be a small coat of arms on one of the vehicles. The texts shown in the ads is correct and plausible. When encountering the unknown threat a team of soldiers was sent it to investigate. The Bundeswehr does not operate with force within the borders of Germany, and even in humanitarian causes like floods and evacuations its usage is a big issue. Seeing that the alien incusion is a rather unique case I can accept a team of soldiers would be present. The camouflage of the German soldiers is not quite flecktarn, the German unique camo, but a good approximation, and not just generic “woodland camouflage”. The last surviving soldier carries a grenade. A swat-mission in a civilian area would not carry grenades. Even among soldiers grenades are highly restricted and not given out lightly. Seeing as this is a unique sitation the presence of grenades is passable enough. 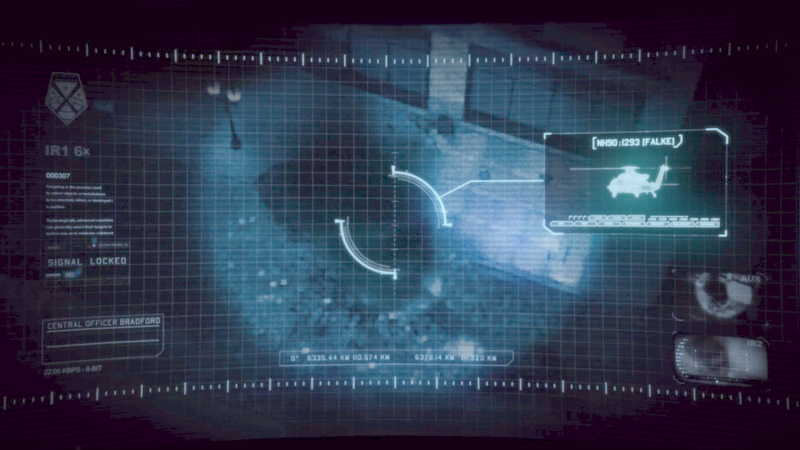 The briefing-screen shows that a German helicopter crashed. The model of the helicopter given is the NH90, which is a vehicle which operates in Germany, and the diagram is close enough to its actual looks. The name given of the model is “Falke” (falcon), which would be a plausible name for a German helicopter-model. 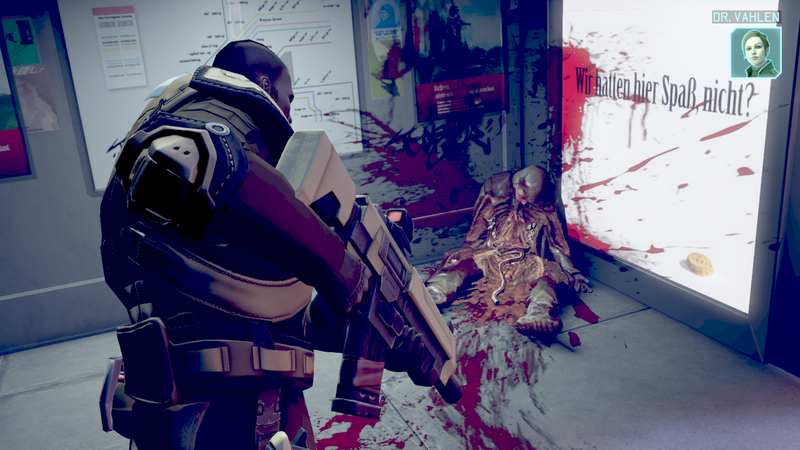 XCOM manages to represent modern Germany very well in its short introductory mission. The majority of elements used are correct or plausible enough, and there is barely anything which would distract someone with false details.